This great duo also received 3rd and BC this summer on the 50 mile GERA Fundraiser Ride. 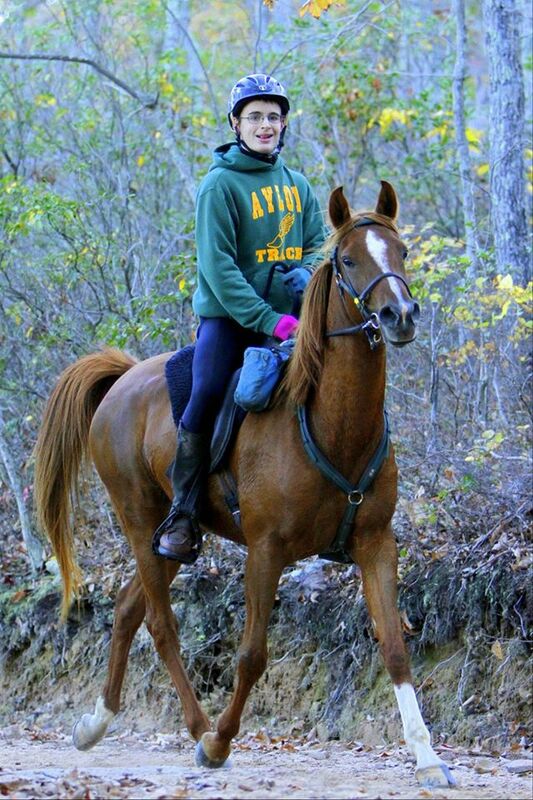 Congratulations to Maris and her wonderful mare. We expect to see even more great things from them in the future. 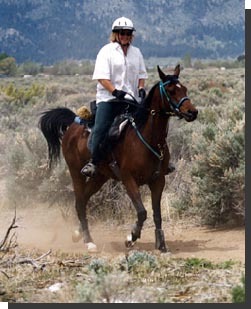 This exciting stallion has 880 endurance miles under the capable hands of Denise Wood - tying him for 5th place in the AERC Jim Jones Award standings. 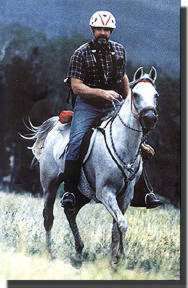 He has also had an outstanding career in the show ring with wins in Native Costume, Western Pleasure and Get of Sire. His offspring are currently winning all levels of competition. 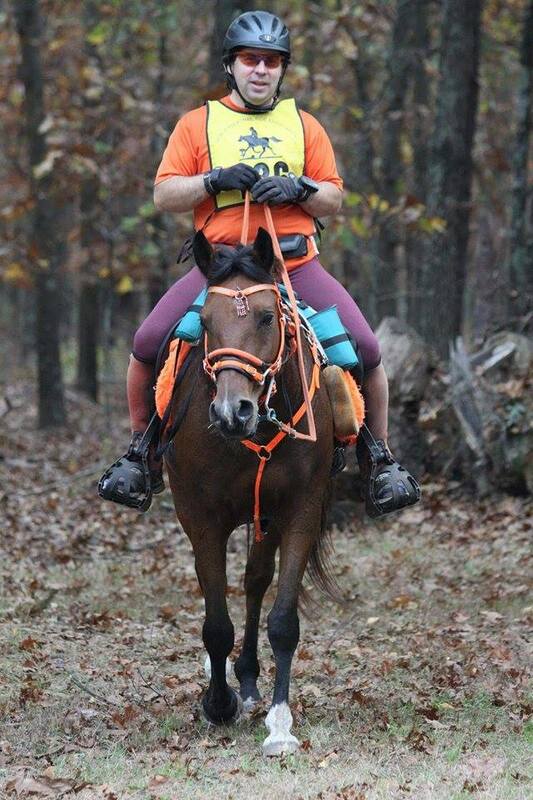 Reflkshn is being readied to go back out on the endurance trail. 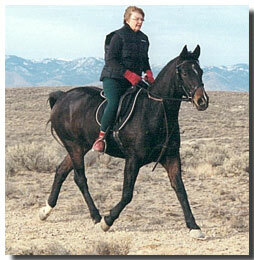 Contact Cindy Lempp at Sojourn Arabians for breeding information. 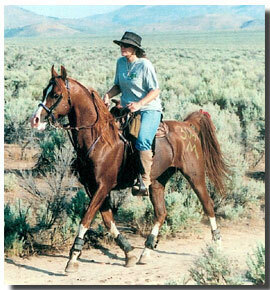 "Jazzi is proving to be just an awesome up & coming young endurance mare. 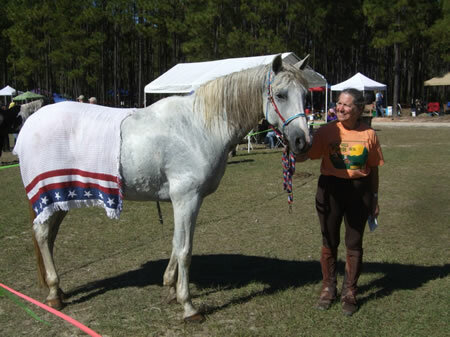 She has 820 miles to date and is known as the "ridecamp sweetheart. Her disposition is totally unflappable, all the kids ride her through camp. She is a true princess with a heart of gold." 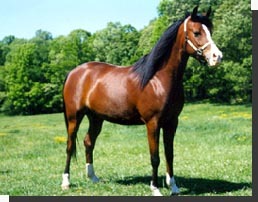 She is now producing foals for Agnew Arabians. 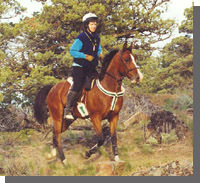 A great competitive mare with outstanding bloodlines, she is a sibling to US National mileage champions Belesema Flirtasia and OT Kid Curry and Belesemo Tradition. Completing 8 for 8 rides, Moonsong retired completely sound. Now in our broodmare band, producing the next generation. 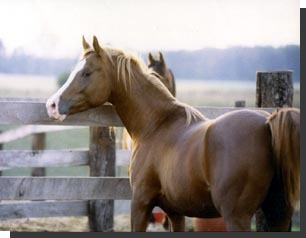 After a stunning career in the show ring with wins in halter and performance, including Grand Champion Futurity Mare - "Belle" has now added endurance to her list of accomplishments. Belle currently has 505 career miles to her credit, even taking time off to have a beautiful pinto filly for owners, James and Gini Agnew in between - sired by their stallion, Belesemo Chance. Death Valley Encounter IV - completion. After a layoff due to injury this outstanding mare produced a great filly by Belesemo Sbn Trad and is being readied for the trail again. 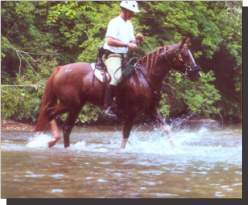 Endurance Mare - now in the Belesemo broodmare band. Currently producing winning offspring. "With good conformation and personality plus, it was love at first sight, even though we knew that at age 11, Blanca (Belesema Gray) had been a pasture potato all her life. We brought her up slowly and she successfully completed all limited distance rides entered, finishing in the Top Ten twice and in 3rd place on one particularly challenging ride. Her willing attitude and incredible energy level are particularly remarkable considering she is carrying a super heavyweight at 270 lbs. with tack." 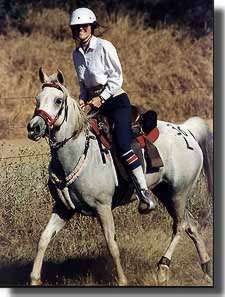 Our thanks to Ralph and JoAnn for allowing Blanca to join the Belesemo Arabians' broodmare band. 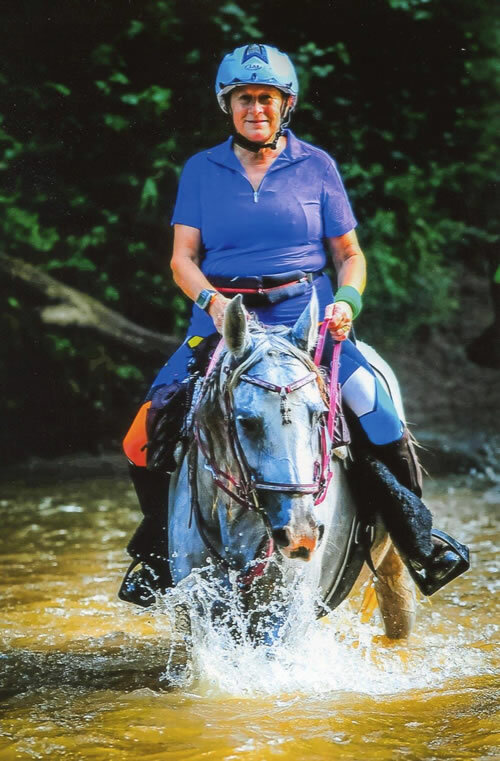 Our heartiest congratulations to Michele Del Vecchio and her fine young mare, Ariel. 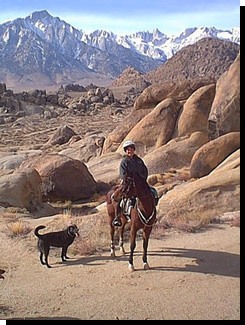 They have started on a great career with 375 ride miles to date. 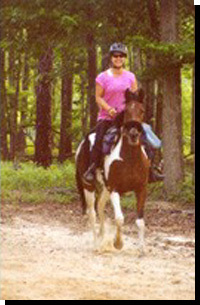 Shown here on the Carolina 30, Glory is a beautiful trail riding companion for her owner Barbara Decker. 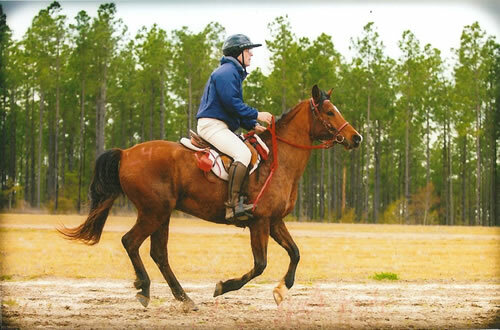 A great young gelding just beginning his endurance career.